If you know your Singaporean designers, you will be no stranger to quirky retro-modern womens-wear label hansel. 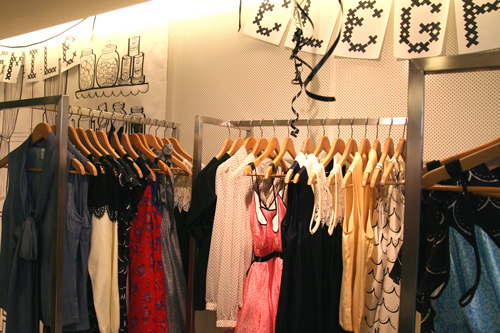 After the success of their first standalone shop in Stamford House, hansel is moving up! 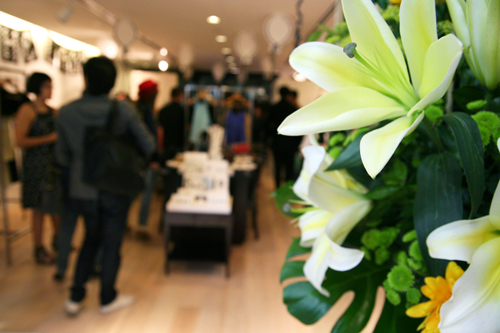 We were part of the lucky few to attend the VIP Preview Party of the new shop at Mandarin Gallery on Orchard Road last week. 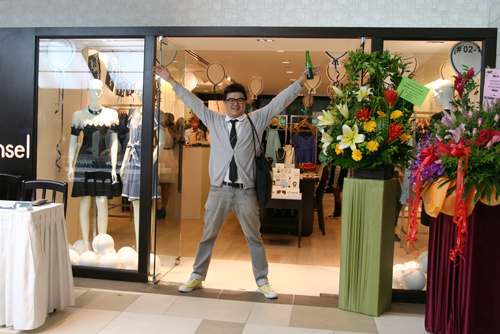 Apart from media, there were quite a few bloggers and fashion-quirky people who were all excited to sneak a peek at the new boutique. Hansel founder and Creative Director Jo Soh has new creative ways of changing her shop with each collection. We love how she has managed to keep her quirky interior even in the slightly more up-market Mandarin Gallery. 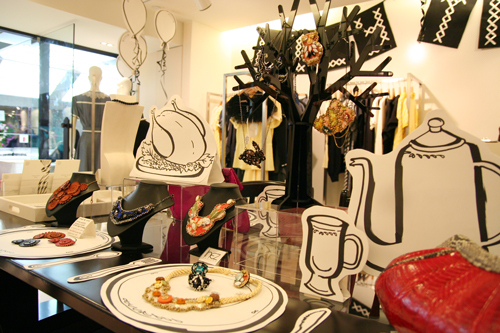 Would you like some Cartoon turkey to go with your necklace? On display was the latest collection called ‘Lily the Lady’ as well as a capsule collection created for the upcoming festive season. Other than celebrating the new hansel shop, we were also cheering our latest collaboration piece – the Goldilocks™ handmade for hansel 2-in-1 Pearl Necklace and Brooch. 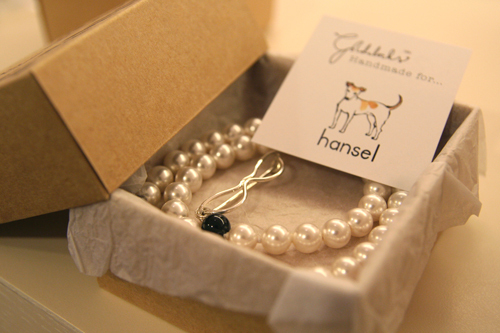 Made with Swarovski Pearls and Sterling Silver, they come in black or white and just as retro with a modern twist as the rest of hansel. 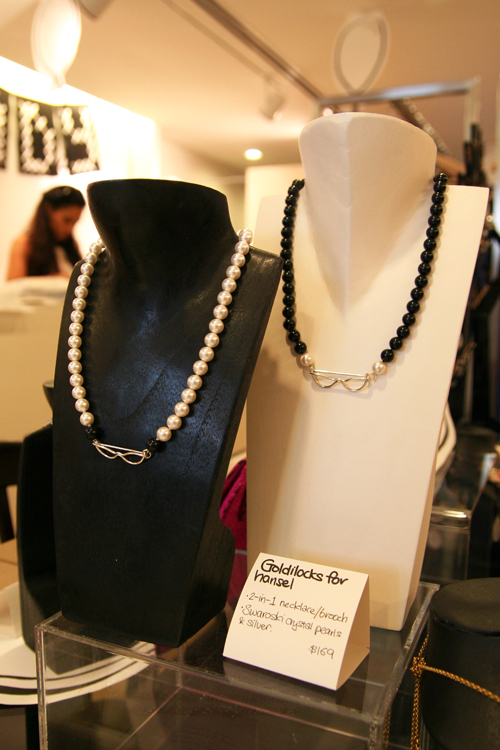 Black and White Necklaces on display at hansel shop in Mandarin Gallery. Read more about Goldilocks™ for hansel escapades in previous blog posts.